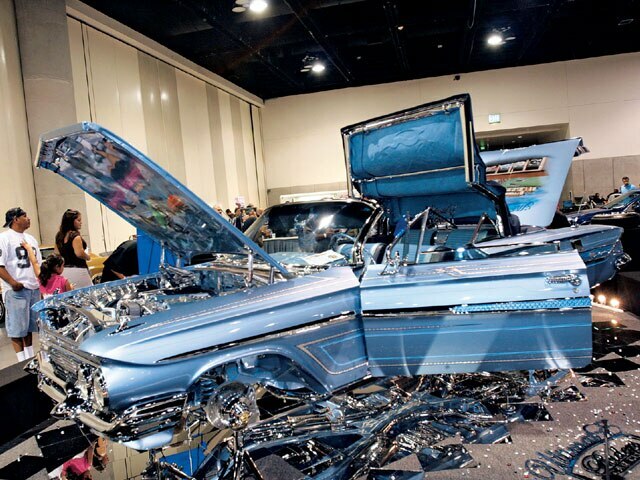 Socal's Best Indoor Lowrider Show Was Packed With Smokin' Hot Low-Lows. 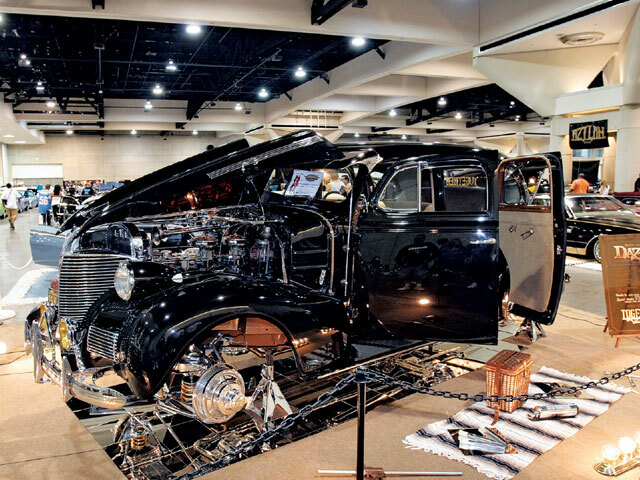 The San Diego Super indoor Custom car show and concert keeps getting bigger and better every year. The San Diego Convention Center on Labor Day weekend was the scene. 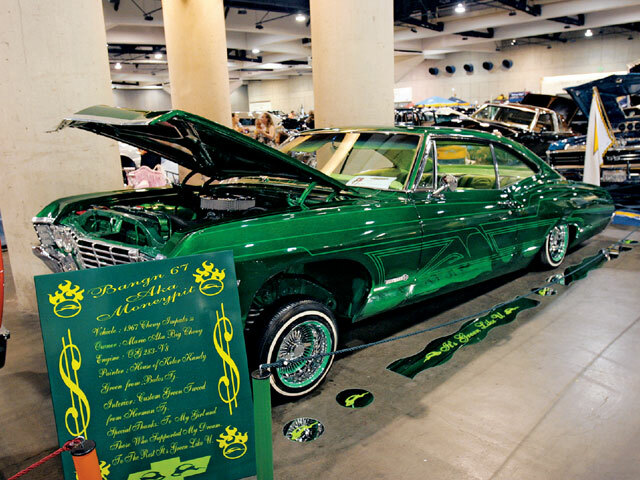 with close to 400 of Southern California’s best lowriders in the house, the indoor event was the place to be. 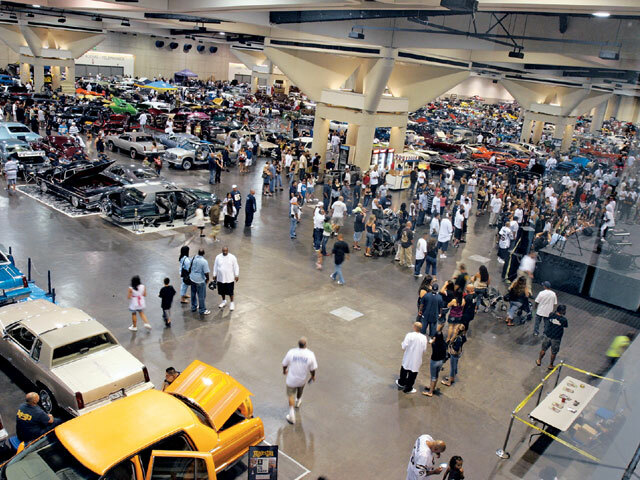 Cars came from all over to be part of one of the few indoor shows in Southern California. rollerz only C.C. 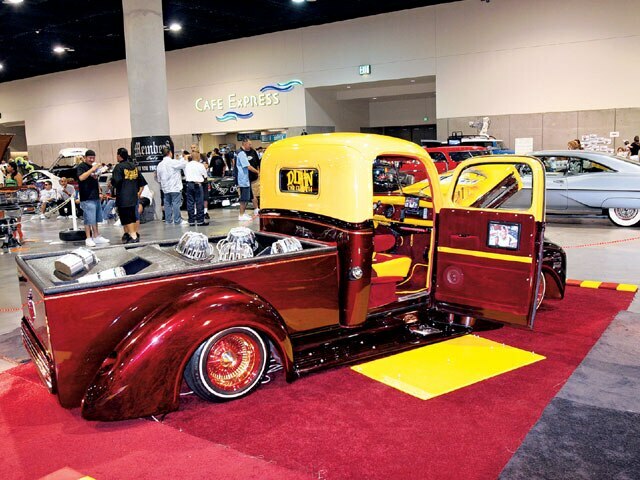 from Central Cal brought out their “Trokita Loca” ’36 Ford truck. premier C.C. 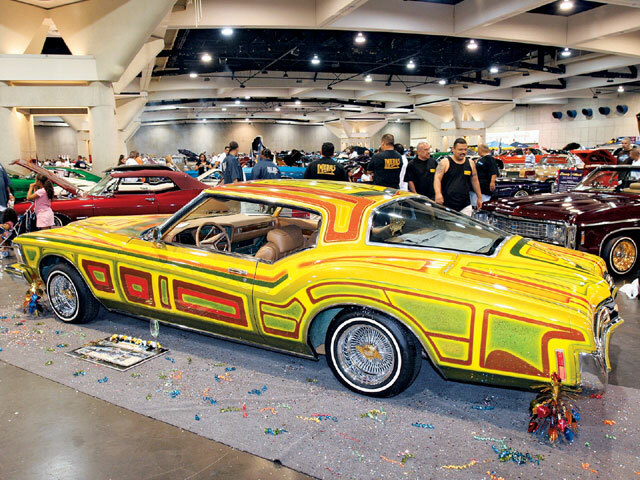 had a great lineup that included “black Sunday” and rides like “el amo.” before moving his car into the petersen automotive Museum, “Chino” Vega displayed his ride, “orgullo Mexicano,” to representing uce C.C. 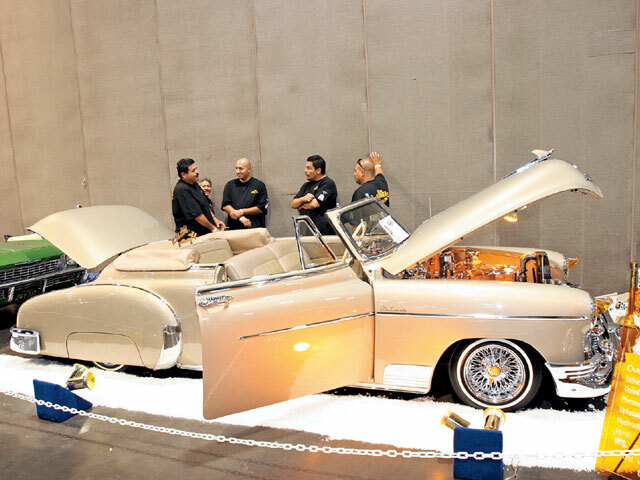 The show featured a battle of the Monte Carlos between “Danny boy” of groupe and “Little Sal” of premier; both displayed beautiful cars and both came out to have a good time. The show was a success with support from clubs that included new wave, individuals, Klique, amigos, City, Viejitos, oldies, groupe, Majestics, aztlan, Life, imperials, Together, premier, ultimate riders, rollerz only, Super natural and The Crowd, and these were just a few of the clubs on hand supporting the one-day event. The indoor halls had cars, girls and music with a family atmosphere. The show included performances by hometown favorite J.o. Felony and other local artists, before the stage was cleared for the legendary brenton wood. The a/C was at the right temperature, and if you were still hot and were 21 or older, you could stop by the budweiser beer garden and drink yourself a few. The San Diego show had a family atmosphere and it seemed very successful with a bigger crowd than the previous year. Putting it all together was Mario Lopez and rob “bird” rice, along with a handful of assistants and judges. we hope that the 2008 show is as successful as last year’s event. Keep up the good work, guys. Rob’s rivi ride came to rock ‘n’ roll. “V-Max’s” ’61 ragtop is always ready to show. 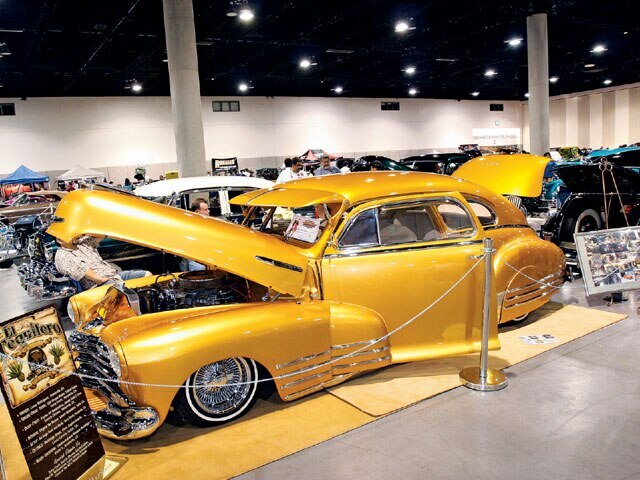 “El Tiquelero” is one fine Fleetline. Together C.C. brought it all out. 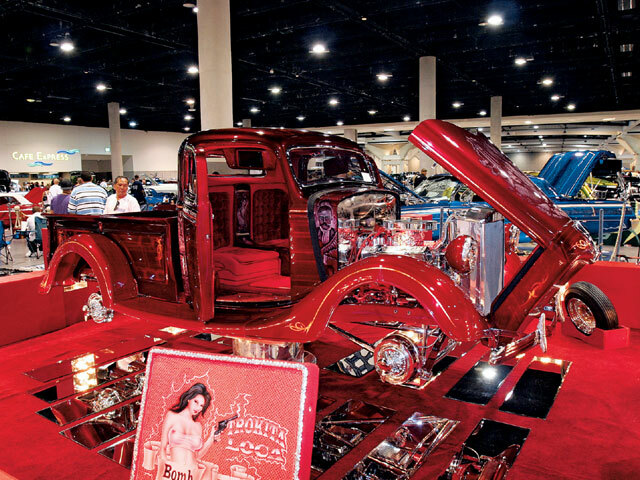 Sal’s “Trokita Loca” won best Truck. Chino’s “orgullo Mexicano” won the best in Show. This truck was laid out and lookin’ good. Mario’s ’67 is a “Money pit” but worth it.